An all-mahogany beauty with a vintage vibe. 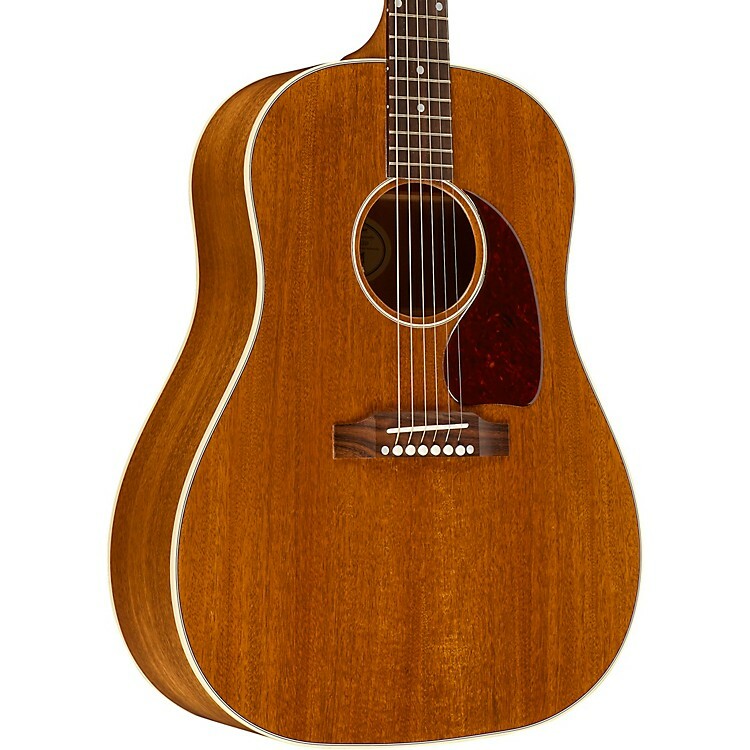 The 2018 J-45 Mahogany features a solid mahogany top, back and sides. This rarely used tonewood combination offers a very unique, warm and round sound and a beautiful vintage look, with an Antique Natural finish, which reveals the beautiful grain of the mahogany. A one-piece rosewood fingerboard with mother-of-pearl dot inlays and gold open-back Grover tuners enhance the guitar's subtle beauty. This April Limited Edition features the added versatility of an Element-Plus system allows for studio-quality amplification anywhere you perform. Bring home this solid Gibson with a quick click or call today.